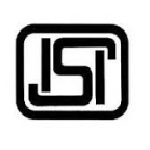 Kolkata ISI Project linked person recruitment 2016-17 notification apply : Indian Statistical Institute (ISI) Kolkata welcomes application for the position of 02 project linked person vacancies. Candidates who completed their ME, M.Tech., M.Sc., BE, B.Tech. is a good opportunity.The individuals who are the occupation seekers searching for govt employments in West Bengal this is the best chance to apply. Competitors read the official notification then read all the guidelines and miners precisely then apply before the last date online application got. All the interested and eligible candidates can appear walk – in – interview on 24th August 2016. Govt jobs for ME, M.Tech., M.Sc., BE, B.Tech. Designation of the Job: ME, M.Tech., M.Sc., BE, B.Tech. Candidates Age Limit: The age of the candidate should not be less than 18 years and should not be more than 35 years as on 1st July 2016. Academic Qualification Details: Candidates should have ME / M.Tech or equivalent in computer science / electrical engineering / electronics / information technology or M.Sc. in statics / mathematics / computer science with 60% marks or BE / B.Tech in computer science / information technology. Process of selection for the job: The selection of the candidates will be on the basis of walk – in – interview that will be held n Advance computing and micro – electronics unit (5th floor of PGA building) of the Indian statistical institute, Kolkata. Process of applying for the job: Candidates may appear walk – in – interview along with original and attested copies of relevant documents at the time of interview that will be held n Advance computing and micro – electronics unit (5th floor of PGA building) of the Indian statistical institute, Kolkata. Venue of interview: Interested and eligible applicants applying for any position of project linked person may appear walk – in – interview that will be held n Advance computing and micro – electronics unit (5th floor of PGA building) of the Indian statistical institute, Kolkata. Important Dates: Date of interview is on 24th August 2016.